The leaders continues to accuse of local committing more crimes but in reality it is the incoming migrants who are the keys. As such that if a foreigner commits crimes, the nationality is always not revealed on Yahoo news. When a local commits a crime, the nationality is always there. It makes us wonder why msm is doing such. We have also seen disappearing and manipulated stats on work force, survey and report to bluff Singaporeans. As they know Singaporeans are fearful to go against them and always looking for an excuse to ease their conscience. The GDP growth is always there due to continual import of foreigners. All stats look good, even when prices of essential and necessities had gone up so much in 2018, the stat shows otherwise, only 0.4% inflation for 2018. For its hard to believe many fresh grads are unemployed, ex-PMETs driving Grab/Go Jerk, the unemployment rate seems to stay 3% all the way. Uncle Leong had tried to decipher the complex stats provided and found disappearing data with the sole purpose of keeping citizens confused or in the dark. The latest CPF rule on withdrawal says it all, it has secretly raised withdrawal age to 70 automatically but refused to admit instead provided an option to opt out. Can you see that our island is becoming seemingly crafty, sly and deceitful? Why is it so? Just look at the first family, how the break out came about. All happened after the old man passed on and before that it was quiet like mice. After that all kind of conspiracy theories and a special committee was formed to reinforce its interest. Through the years, Singaporeans have been played out with all kinds of policies or games by the leadership. They tell you one thing but do another. Remember GE 2011, he said he was going to reduce FTs and now it is more than 6M. Recently Mdm was giving a speech empathizing with people saying corporates should not focus on profits but doing good for people. Today, we have all sort of taxes, direct and indirect, the brainchild of our sovereign funds which indirectly control all the agencies and GLCs. Their maximum profit and minimum cost model is very well know, so what cork is she talking about? Remember the TC court case, how it came about? The relentless pursuit and why? Dr Tan is coming out for next GE but expect the fixing will come. But Singaporeans have some brains.We need to come to understand these clowns are not longer straight and honest. They spin stories and tales to bluff Singaporeans. Our leaders are no longer honest, upright and hardworking. This is what has become of Singapore. The pap have been in their con games long enough to know that there are always some 70% willing to succumb their sensibility to cao-tao at voting times. To then cao-pay-cao-boh till the next election time. To then give their votes to them again to repeat their idiocy yet again. So, it always the dumbasses ho will vote for their to rule over them same same once more. One simple and obvious reason is PAP has too much skeletons to hide. PAP also take the people as fool and stupid believing all the spun stories and tales. If Malaysia voters were like Singapore voters, Najib would still be the PM of Malaysia, and every Malaysian would be fooled on 1MDB. Next GE, Singaporeans must prove that “Stupidity has no cure” was wrong!! We were a British colony that then became part of independent Malaysia. Got cast out and became our own country. From being a country, we slowly moved towards becoming a nation of different coloured but like-minded Singaporeans. The mass importation of 3rd World foreigners without any special skills diluted that nascent nationhood. Now we’re just an economy. If majority of Singaporeans allow it to develop this way, it is their fault not PAP fault. PAP is there because majority of Singaporeans want them there. 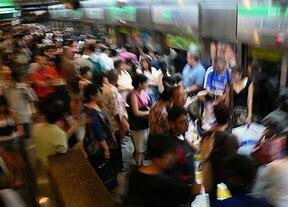 If Singaporeans let them run wild, not checking on them, F them & still support them blindly, it is not PAP fault. Singaporeans is at fault for not doing your job as a responsible citizen to check, F them & make it right for the country to change your government. Simply put, you invite a thief to your house, knowing he will steal from you yet you continue to let him stay, you cant blame others except yourself. You are sinking your own ship. Such kind are called SINKIES. The deceitful behaviour of our leaders has been going on for some time. We simply cannot get this stage overnight. The slyness; the secrecy shows that the ruling party is not with the people. They consider themselves rulers while everyone else is being ruled. Those that are being ruled can then be subject to propaganda, wayang, changing stories and general deception so that the rulers get their way. Underlying all this is an attitude of contempt for the general population; their intellect, their logic, and their resources or the lack of it. When the PAP tells you something is good for you, be very fearful because it would be really good for them–not you. They are obsessed with control. Even the Malay/Indian President is now under their thumb. She is virtually left in the cupboard when important people visit less she takes away the glory from the Clown. This is what is happening to Singapore. It would be the same for foreigners who decide to become citizens. Once they become citizens, they PAP has got them in their sardine can and the PAP bulldozer will go to work to press out the fat from these people. Uncle Leong is right. Singapore is the most taxed country with the least government assistance “in the world”. By not calling it income tax, they can allow foreigners to come in but citizens have to pay not only income tax but the CPF as well and all the other jargon-rich taxes like MediShield etc. They are taxes by another name. So there is only one solution–that is to remove the PAP completely and totally. there is no other way but to remove them. So TCB and CSJ should double their efforts to ensure that citizens are aware of their plight. $G is a tiny island run by a bunch of despots using slave labour. That is all anyone needs to know. Singaporeans suffering from Stockholm Syndrome big-time. It is a condition that causes hostages to develop a psychological alliance with their captors as a survival strategy during captivity. These alliances, resulting from a bond formed between captor and captives during intimate time spent together, are generally considered irrational in light of the danger or risk endured by the victims. Adding to the above is that after 5 decades without real democracy under the same political party Singaporeans have become stupid and spineless. Sadly, there is no cure for stupidity. … that is why Dr Tan Cheng Bock needs to make Singapore Great again. It would be the best present the day PAPs get voted out. I just cant wait to hear their excuses n see their stunned faces. Maybe the pinky mai hum will shed tears or faint again..
Just look at how he “treats” his own siblings and his “Sis In Law”. Just look at how he “inserts his own personal Lawyer” to the “highest position” ??? when Dr Tan CB PSP opposition coalition topples clown pap GE2019, pap clown and wife may run road. but as we have told everybody, we volunteer to guard all exists from Singapore. intention is pap clown and wife must account for all the wrongs they have done and all the S$m in their kitty. Dont think is only S$m, should be S$b..!!! Dr Tan CB PSP wins GE2019: when Dr Tan CB PSP opposition coalition topples clown pap GE2019, pap clown and wife may run road. but as we have told everybody, we volunteer to guard all exists from Singapore. you seriously think they only have mere billion$ or that that family (extended to include the whole clan – one under-the-radar low-profile paternal uncle who may be the biggest owner of stocks, under proxy or otherwise, in more than half of listed entities on the local bourse ALONE) would be satisfied with having the wealth of a Bezo, a Gates, Buffet or the Waltons? They act & devour mercilessly like tyrannosaurs or T-rex, so it should not shock anyone that they aren’t mere multi-M- or even multi-B-aires – after more than a half-century of an enriching life experience, they are, between them, at least hundreds of Bs now and approaching a T!!! If they aren’t already that, hahaha. the COMBINED WEALTH of the top ten, no, top 30, of the so-called richest on the planet as listed on publicly available data are NOT EVEN REMOTELY CLOSE TO BEING HALF AS RICH as this family/clan of A-LEE BABAS! You can go ahead & safely quote me on that.